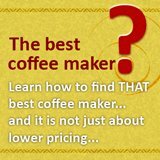 Finding keurig coffee machine in Asia? 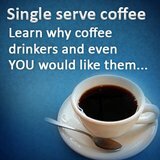 If you like keurig coffee machine coffee, then you would want to have them wherever you go. It is not difficult go around carrying the keurig coffee maker b30, it is very mobile, but there would be a time when you would run out of k-cups. And while it is very easy to order online, some countries regulation actually prevents certain food products from coming into the country, and if that is the case, you keurig coffee machine would not be very handy without the k-cups. No doubt this is one issue faced by folks that loves k-cups coffee. 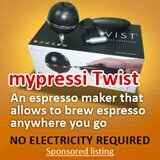 Unlike some other brands, like nespresso which consumers can purchase anywhere so long as there is a Nestle office, keurig do not have such a wide network of distribution. A few years ago, you can say that it is virtually impossible to get k-cups and keurig machines in Asia, but this has since changed after 2001. 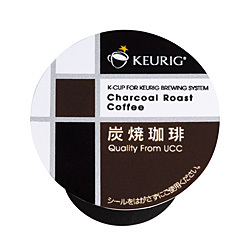 That year, keurig entered into a joint venture with Ueshima Coffee Company to form the keurig FE. 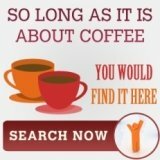 This joint venture entity main aim is to roast and market coffee for keurig coffee machine and also the k-cups in Japan and 9 other Asia countries. And the countries that are strategically chosen in my opinion are all huge market in terms of coffee consumption. If you want to sell anything in Asia, you have to be in China. The huge market would make any small percentage growth into a huge sales number. So, one of the market that Keurig FE is entering into is China. Not much introduction is needed for Indonesia and Vietnam which itself is coffee producing country. So, the number of coffee drinkers is evident. Taiwan is a cosmopolitan city with many cafes and coffee shops, so bringing keurig and k-cups into this area would definitely grow the market share of keurig. Similarly, Korea is another country that is very familiar with gourmet coffee and single serve coffee maker, and keurig would definitely a product that is sellable in this country. The other few markets are Malaysia, Thailand and Philipines which has their own followers of gourmet coffee and is well atuned to big MNC, such as Starbucks, Coffee beans and Nestle. So, keurig would just be one new additon. The last market, which in my opinion is another important market is Singapore. Other than the high coffee consumption population (in this small country, there are close to 5000 different varities of coffee shops and cafes! ), the consumers loves their single serve coffee. Nespress has a track record of selling a thousand machines in a single month when it launched its coffee boutique in Singapore. Moreover, this is also a location that many expats are based, many already familiar with keurig and their great coffee. So, these are the few places where if you are interested would be able to find the keurig coffee machine and the k-cups coffee. It would not be difficult to find as Ueshima Coffee Company or UCC is very strong in this region having marketed coffee in this region for more than 60 years.